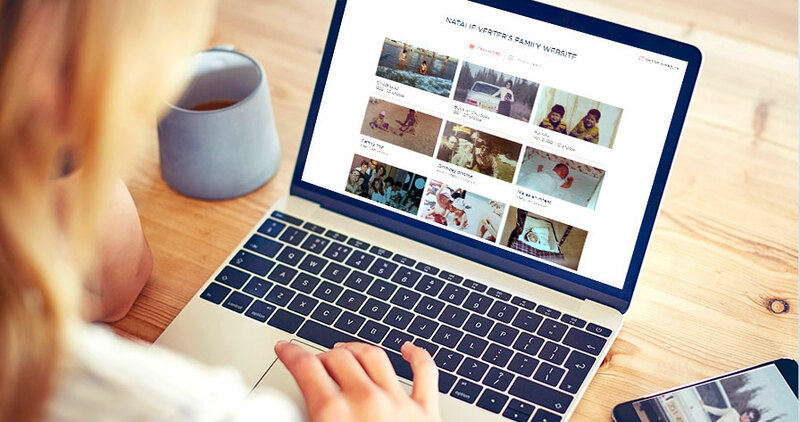 If you've noticed the new Family tab on the app's bottom navigation bar, you should know it's the perfect way to create an online photo gallery for yourself, and to share it with your friends and family. 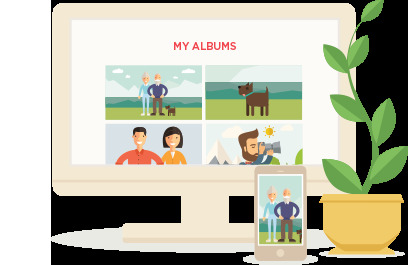 With just one tap you can create a beautiful gallery website that showcases all of your scanned Photomyne photos. Then simply share the website's link with friends and family, so they can stop by and reminisce the good times as well. The Family website option is currently available only to paid account subscribers. To learn more about signing up to Photomyne and what an account includes, please visit this FAQ on Photomyne accounts. Go to the Family tab in the app. There you will see two fields for entering your first and last name. This will show as part of your family website's URL (ex. my.photomyne.com/Firstname.LastName). Once created, visit your site online - tap the blue URL of your family website. If you'd like to add a touch of security to your family website, you're welcome to create a 4-digit password. 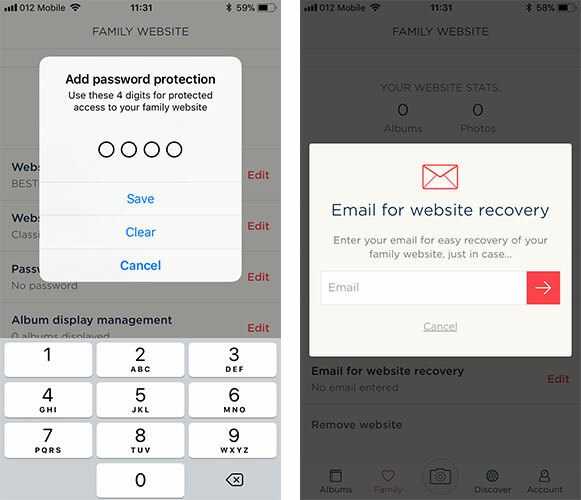 This means that people you share your family website's link with will have to enter the password in order to access the site and view the photos. This is optional. Keep in mind that only people who have your exact family website URL can access your site. The password option is in place to restrict photo viewing in case someone else who has your website link decides to share it with other people you might know personally. 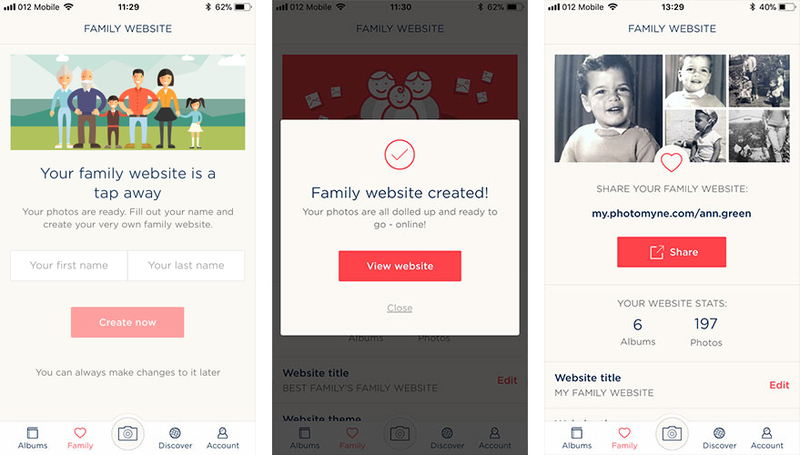 Please note: Creating, editing and customizing your family website are actions currently available only in the app, not yet online. 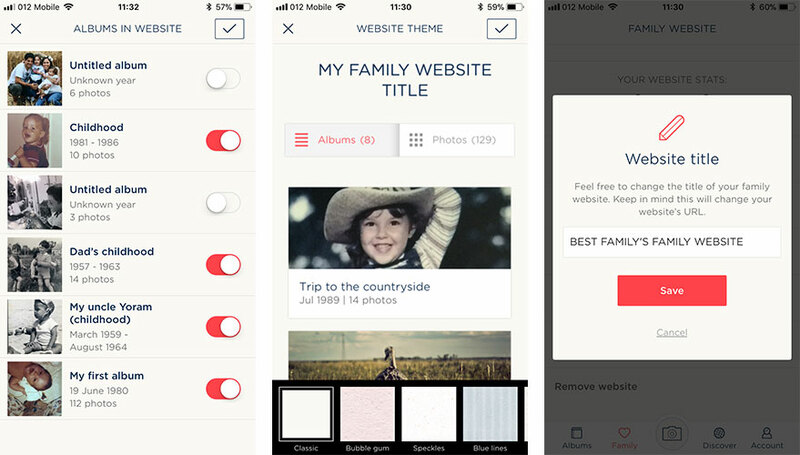 Also, only the Photomyne user who initially created the family website can make changes to it.